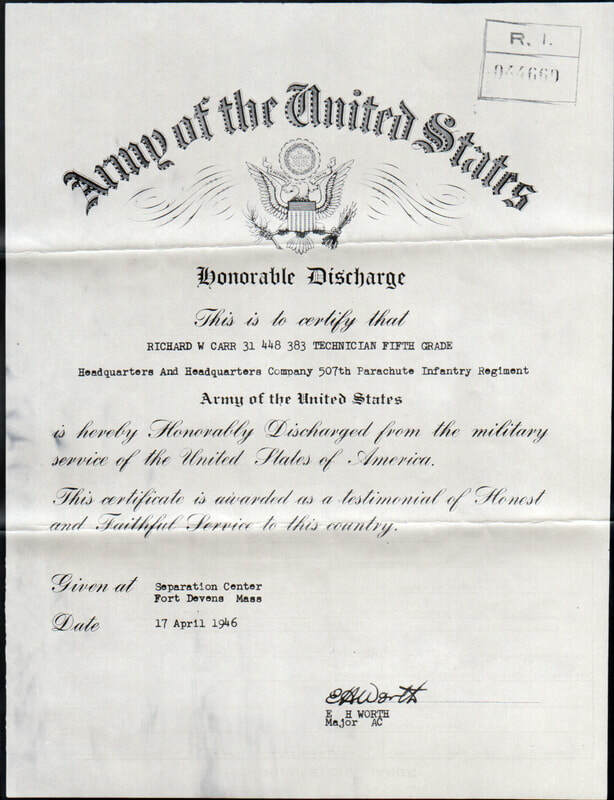 Technician Fifth Grade Richard W. Carr was born on November 5, 1924 in New Bedford Massachusetts. He was a replacement after the Normandy campaign. The 507th dropped about 2,000 troopers on June 5, 1944 and less than 800 took an LST back to England about 45 days later, so they needed a lot of replacements. Dad was in a replacement depot waiting assignment to an infantry division when a very sharp 507th officer came to do a presentation on the Airborne, you had to volunteer. My dad and his friend, Brad Atkins (still alive), decided that if they were going into combat, that they wanted to be with sharp guys like that officer, rather then the run of the mill guys around them, so they stepped forward, just the two of them. They remained good friends throughout their lives and each credited their decision to join the 507th as to how they survived the war. My dad, like so many others, never talked about the war. 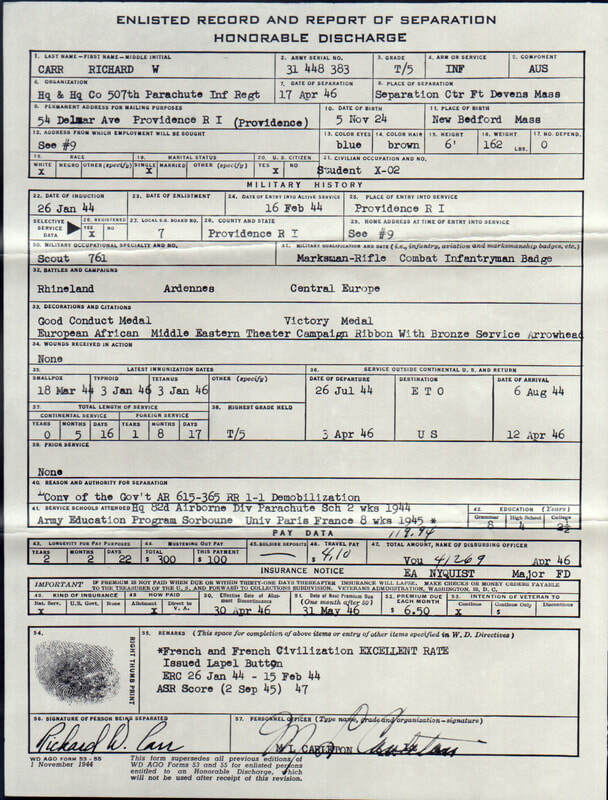 I didn’t even know he had been a paratrooper until I was about 30, also, my dad completely blocked out all the bad stuff, but he could tell you the fun stuff, like being in Paris after the war was over, waiting to get shipped home. The first photo is dad right after jump school in Nottingham England. 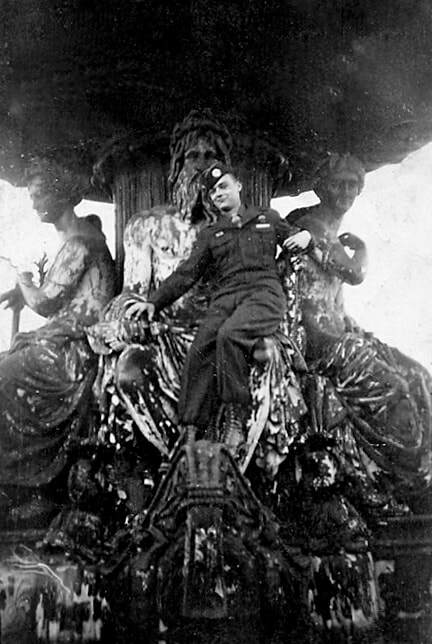 The second photo is after the war was over while dad was in Paris, attending school at the Sorbonne. Story and photos submitted by his son, Rick Carr. 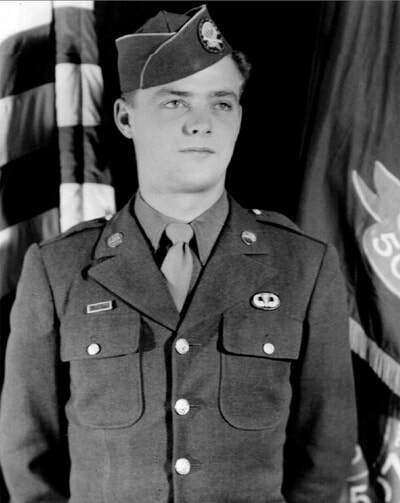 ​John Paul Wolter was born on December 17, 1923 in Woonsocket, South Dakota.He enlisted at Fort Crook, Nebraska (which is now Offutt Air Force Base) on December 18, 1942, one day after his 19th birthday. He started basic training at Ft. Hood, Texas on December 28, 1942. 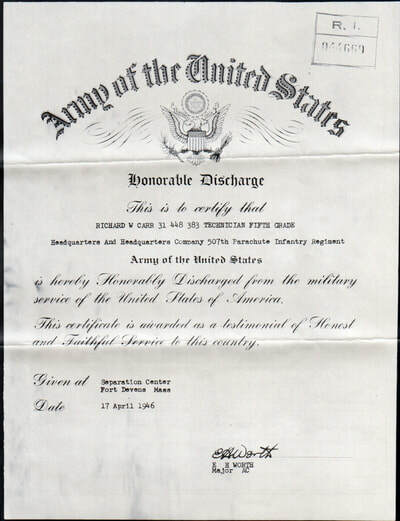 He graduated from Jump School at Ft. Benning, Georgia on December 24, 1943. 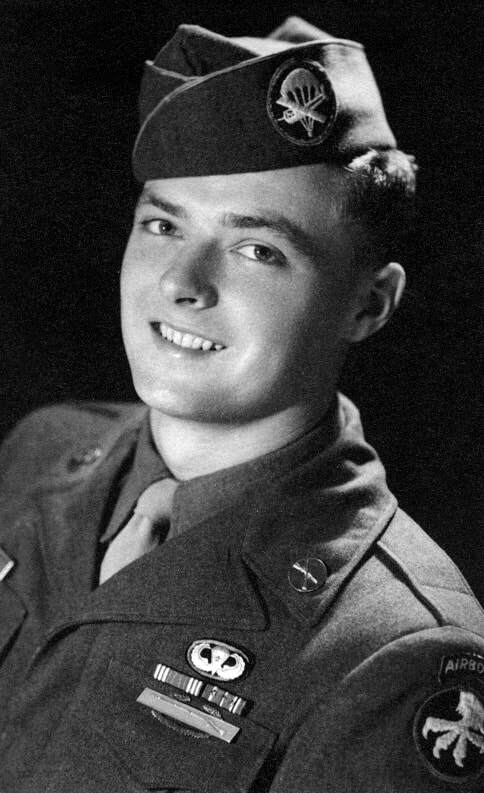 Private Wolter arrived in the ETO on June 6, 1944 which was D-Day. 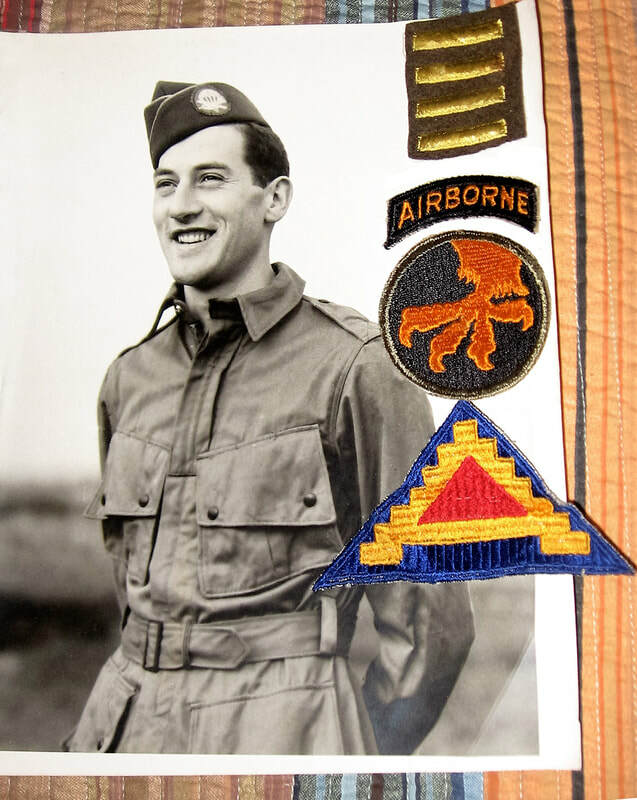 He was sent to Nottingham, England where he was assigned to C Company of the 507th PIR on July 7, 1944. He was later moved to staging areas near Tidworth Barracks and Barton Stacy in southern England in preparation of a German offensive. His company was airlifted in C-47s one day after Christmas 1944 to airfield A-7 near Reims, France. They were then ordered to Bastogne, Belgium in the vicinity of Chenet on January 2, 1945. While in combat during Battle of the Bulge, Private Wolter suffered frostbitten hands and severely frozen feet. He was pulled from the front lines on January 19, 1945 and hospitalized at the 39th Evacuation Hospital in Virton, Belgium. Later he was moved to the 3rd Battalion Aid Station, 29th Infantry Regiment, where he was dropped from the 507th PIR roster and permanently assigned to the 29th Infantry Regiment. From that point on, he was assigned to occupation duty in Frankfurt on Main, Germany until he was honorably discharged on March 14, 1946. Returned to his hometown after the war and passed away on February 20, 1979.